A year ago today, a town was in mourning for the passing of its most famous son. Jimmy Armfield was at peace after passing away in Trinity Hospice after a brave battle with cancer. He was 82. 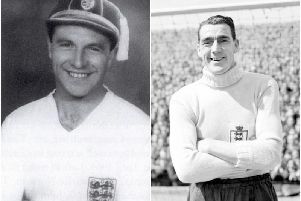 A one-club man, Jimmy Armfield made 569 appearances for Blackpool FC between 1954-1971 and won 43 England caps. Today, his sons Duncan and John tell for the first time of their father’s final days, their proud mission to keep his legacy burning bright and reveal how they were left humbled and overwhelmed by the outpouring of emotion from all who held Jimmy so dear. Duncan Armfield has a simple message for Blackpool fans: Thank-you. A year ago today his family were experiencing profound grief when their beloved father, Jimmy, passed away in Trinity Hospice. But they were also filled with pride at the reaction from Blackpool and beyond as fans lined up to pay tribute to one of England’s greatest footballers and broadcasters. “Today will be a sad day,” says Duncan. “But it will be a happy day. While Duncan, 57, is planning on doing nothing other than ‘keeping him in my mind’, John, 53, will pay his respects at his father’s statue at Bloomfield Road. Many others will have their own private moment to remember the man dubbed ‘Gentleman Jim’. “Just keep him in your thoughts, keep him in your hearts,” said Duncan. “He will be up there watching and cheering along with them.Be happy for what you’ve experienced with him. 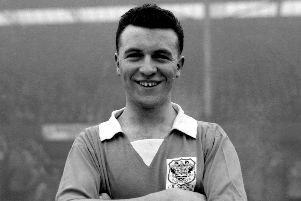 How much would Blackpool legend Jimmy Armfield be worth in today's transfer market? Duncan, 57, is married to Deborah, 56, and they have two children, James, 30 and Nick, 25. He is deputy director of operations at Wrightington, Wigan and Leigh NHS Trust. John, 53, is married to Julie, 52. They have two children Thomas, 26, and 22-year-old Hannah. John is assistant headteacher at St Aidan’s School in Preesall. John: ‘In the November he had all these operations. What he went through, I just think crikey. It was under local anaesthetic a lot of it because we knew he had a problem with a general anaesthetic, he couldn’t really have one. ‘In the end he had to have. But he made a massive recovery even after this dreadful operation. And in November he turned up at my door and he’d been to Preston with my mother. ‘He didn’t think he’d be able to drive again, he went to the specialist and he said ‘why not?’ They did a test on him and he was clear. No problem at all. ‘So they went to Preston and went out again and started doing things. ‘The start of December came and he rang me up and said ‘I’ve got this rash on my neck’. D: ‘He couldn’t eat, he couldn’t drink. he tried and tried but just couldn’t do it. ‘I stopped with him for six days because John was very tired and took time off work. It was clear then. ‘I remember sitting with him one morning and mum was in the shower. J: ‘I’d go everyday and you could see him wilt in front of us. ‘Getting him to the hospice was the worst journey of my life, we had to persuade him to go. ‘But when we took him in he was still cracking jokes, despite it all. J: ‘I can remember our last conversation. We didn’t talk about anything morbid, he was talking about family, football, who was top of the league. ‘They must have given him something and the pain must have started to go and he must have felt OK, at peace, you know?. Football fans from across the world paid tribute to Jimmy Armfield after his sad death on January 22 last year. His funeral at St Peter’s Church in South Shore, where he had played the organ throughout his life, was held on February 8 and broadcast live on Radio Lancashire. Hundreds of Blackpool fans packed into Bloomfield Road to pay their own respects as his cortege passed through. Duncan: ‘It was just overwhelming the level of thought that went out from everywhere, it wasn’t just Blackpool people it was all around the country and abroad. ‘In particular from Blackpool people and fans, but many from both Leeds Utd, Bolton Wanderers and around the world-much more than we anticipated. John: ‘I used to see my dad every day. He came out of the limelight because one, he wasn’t well and two, my mother wasn’t very well. I just thought a few people will remember who he was and told Duncan he didn’t need to worry about tweeting anything about his passing. D: ‘And that’s why John and I ummed and aaahed over whether to put it on the radio. But the reason we did it was primarily because we knew people of that generation who watched dad couldn’t get out in the middle of January or February as it was and the rain on the day came down quite badly. D: ‘Radio Lancashire did it extremely well, there was a great reaction from Radio 5. We were going to do a memorial service but I think the day was enough trial for us, times 10. D: ‘He would have been amazed. You can’t say grateful, but he would have been amazed so many people remembered him. ‘I think it did remind people of a simpler time. ‘When he was asked whether he’d like to live now with all the money he said I’d like the money of course but looking back in retrospect he said ‘I think I lived in the best time’.